Today I'm going to address a very simple tool that you use every time you GM: Conflict. Conflict is what makes stories exciting, games fun, and simulations interesting. Conflict is important to every kind of RPG from the most narrative story games to the crunchiest tactical games. Designing captivating conflict is the most important GM skill. Conflict, as employed in a tabletop RPG, is any situation where there are two or more distinct, possible outcomes, over which the player characters (PCs) have partial influence, and in which they have a stake. Here are the five major components of conflict, broken down. Situation: A situation is the place, time, and circumstances that the PCs find themselves in. Two or More Distinct Outcomes: A situation cannot be a conflict if the outcomes are indistinct. They have to be qualitatively different, and preferably incompatible. Compromise solutions are tricky: The outcomes don't have to be incompatible, but the compromise solution should be less desirable than a total victory, even taking into account the risk of ignoring the compromise. If the compromise is the best outcome for all sides, there are not multiple, distinct outcomes because there is no conflict. Two or More Outcomes are Possible: I want to emphasize the word possible here. A situation is not a conflict if its outcome is guaranteed. Yes, the PCs almost always triumph but there needs to be some risk (making a consequential decision with incomplete information). Conversely, a situation "on rails" is not a conflict, because the GM will not allow more than one outcome. Partial Influence: If the PCs have complete influence over the outcomes, there is no conflict. Many tabletop RPG designers make the mistake of giving PCs spells or powers that grant complete influence over conflicts (detect lie abilities, for instance). As a GM, that drives me nuts. A person with influence over and stake in a conflict is a disputant or contestant. Here's what my post title means: Conflict requires the player characters to stretch to ensure the outcome they want. Stake: If the PCs don't care how the conflict resolves, it's not interesting. It's not useful to the story, and it's not a good use of the table's time. Another word for a stake is a hazard, which is to say, something that one contestant wants. So a conflict involves a situation, outcomes, some risk, a way to influence the outcomes, and some hazard. Final tip: You should be able to write a conflict as a single sentence, in the form of a question asking about the different outcomes. Can the heroes escape the swamp before one of them is poisoned? Will the vampire kill the hunters, will it escape, or will they destroy it? This ensures that all of the required elements are present. If you have trouble designing interesting conflicts, remember that most conflicts have human (or at least sentient) opponents - villains. In conflicts against villains great and small, use the villain's agenda to drive the conflict. Select an opponent and list the things that she or he wants. Pick the items off the list over which your villain has partial influence and the PCs have partial influence. Narrow down your choices to the things in which the PCs have the most stake. For a major villain, start with the conflicts for which the villain doesn't need to be present in person, and can send henchmen. If the conflict is part of a larger conflict, create outcomes for this conflict that influence the larger conflict. Design the situation so that it is relevant to the larger conflict. Write the conflict in the form of a question, to make sure it's clear that all the elements are present. In a Pathfinder game, the PCs will encounter some ghouls. Instead of just putting ghouls on a map, the GM wants to create an interesting conflict. The ghouls want to eat the flesh of living humans. They also want to live forever. They want to avoid the wrath of the gods of light. They want to incur the favor of the gods of darkness. The PCs can prevent the ghouls from eating their flesh, kill them so they don't live forever, and channel the power of the gods of light. So three of the four goals are ones the PCs can influence. The larger conflict here is "Will the PCs figure out what happened to turn Sampleton into a ghost town?" 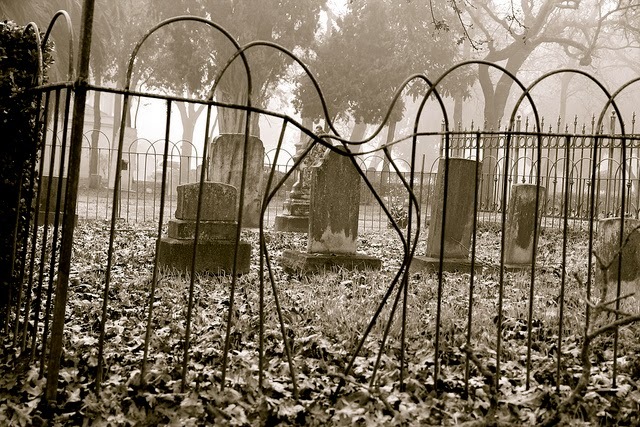 The situation will be a graveyard in an abandoned town, where a large number of fresh graves have been dug. The new graves could give the PCs a clue about the town's vacancy, since the tombstones list the causes of death. Perhaps they can find a pattern to the recent deaths. Can the PCs find a pattern on the gravestones marking the victims of the rash of recent deaths here, or will they be killed or driven off by the ghouls that haunt the graveyard first? Putting the conflict in the form of a question helps the GM in every aspect of the encounter's design. For the Ghouls example, a Pathfinder GM needs to decide how many ghouls to use. In this case, she now knows she can use an overwhelming or even limitless number, since the dramatic question makes it clear that victory for the PCs is not "killing all the ghouls" but "surviving long enough to identify a pattern on the tombstones." Good communication is key here. To make this clear to the players, the GM needs to make sure the PCs know they will have to get information fast, and then flee before they're overwhelmed. She can communicate this in-game by telling the PC with the best Perception that "There are more ghouls in that graveyard than your party can fight off." Then tell the PC with the best Knowledge: Religion that "Ghouls they don't work together -- so you might be able to get what you need and flee before you're overwhelmed." The players know what they have to do, but they can try variations on the basic idea: They can use stealth, distractions, speed, splitting up, sticking together, using a lookout, religious rituals, powerful spells, and lots of other options to try to tip the conflict in their favor. By sharpening your skills at conflict design, you can avoid using "fight to the death" encounters over and over. PS: Happy full-moon-Friday-the-13th! This is my 99th post. Stay tuned for #100!